Speaking decorating the option to paint the house is always present. But it seems rather complicated and sometimes do not know how to make it simpler or how to make it really professional. Not counting the dilemma of what color to choose, especially considering that the ideal is to be painted once or low frequency. In this article we tell about it to make it perfect. 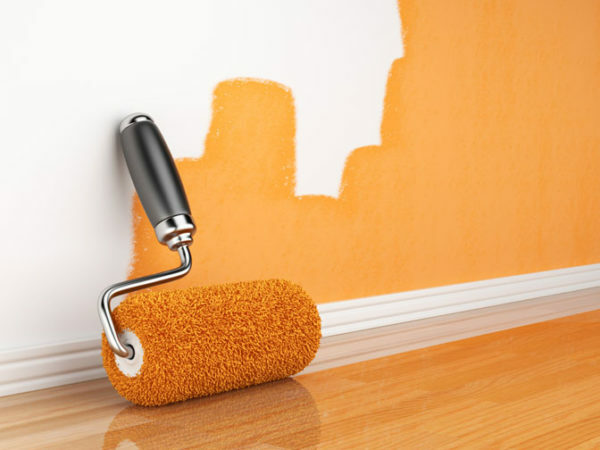 Meet several tips and basic tips that will greatly facilitate painting the house. Make it look professional without suffering. 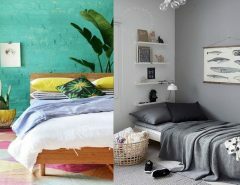 This article will guide you in choosing colors and give you some basic tips to avoid common mistakes when painting the house. No doubt decides something like painting the house should not be taken lightly. With our recommendations will look amazing. 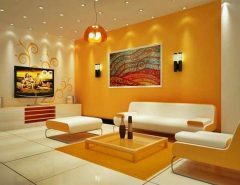 The first thing to consider to accomplish this task is to choose things of quality, because in this task that will last for years in your walls use something just to save can be noticed too. So, get brushes and rollers good quality for a perfect finish (ask at the store according to the material ceilings, floors and walls, depending on what you are going to paint), besides painting also quality for lasting aesthetically and color similar as possible to what appears in the container. Choose the color, more indicated according to your personality type. Choose light colors if you are active to attune and strong colors if you have a rather passive temperament. Find something you stimulate or relax, depending on your common mood (anxious, depressive, introverted or extroverted). Considers harmony, even a vanguard style should try to maintain an important balance between the colors chosen. Once you have chosen the color, even before preparing the house we recommend you try a sample on a wall where you cannot see (this is especially important if a strong color, because it will be more difficult gives cover if you do not like) so you can check if the tone you were looking for (check the lighting that receives throughout the day). Leave him a whole day to dry and you check how l is varied lighting it receives. If the color you want the first step is to assign the deuced day or, because if it’s cold cannot ventilate as if it is wet and should take much longer to dry. A cool, dry day is ideal (better if slightly hot to open windows without problems. Cundo the environment has enabled it is time to remove furniture, light nails and caps (covering holes with putty uniform cubertura). USA insulating tape or painter to cover door frames, wall edges of the floor, ceiling or switches this can also serve to create designs or match colors. It is time to prepare all the paint. Especially if there is a combination of tones you must have it all ready, but it may be noted a change in tone between a wall and another or one room and another. Clean all what you’re going to paint? We want to ensure the paint adhesion and passing a wet sponge in soapy water. Paint top down and from the roof to the wall. You’d make sure to avoid paint drips. Take care much lighting. So you know when you need a layer with greater certainty and will revise the final color you can expect. Better use little paint and then apply more than the opposite … Now, admire the result of your effort. What advice would you like to add? Tell us.